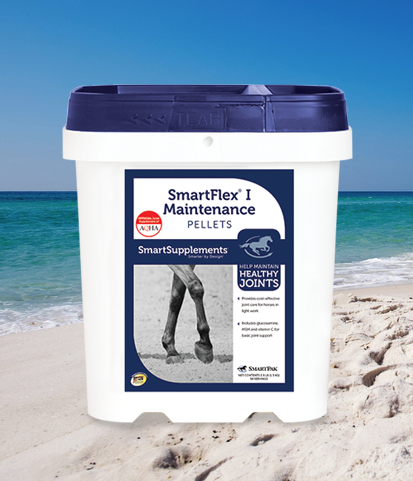 Even though we’re supplement experts, sometimes we feel more like match makers, helping riders pair up their horses with the right supplements. We’ve had a lot of success over the years bringing together lasting, healthy relationships, so we decided to take that experience and put it to good use where everyone is looking for love these days—online dating! 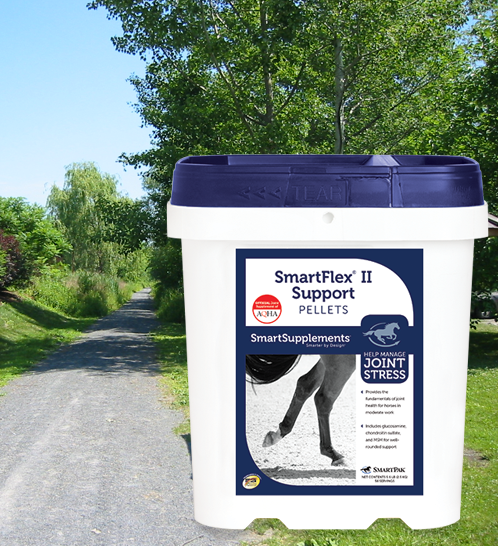 Welcome to SmartPak.com, the #1 site for helping horses find true and lasting happiness with the perfect joint supplement! 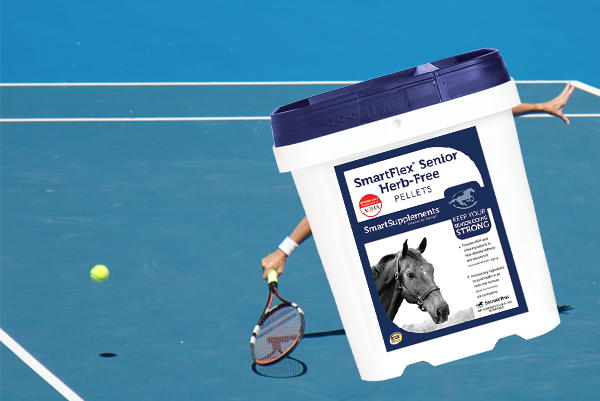 Whether your horse is young and interested in taking it slow or looking for something more serious, we’ll help you find “happily ever after.” And now, for an UNLIMITED time, you can go on a few dates RISK FREE because all of our SmartSupplements™ are Guaranteed to Work*. Check out these hot profiles to find which one is the right match for your horse! About me: I’m a laid-back mix that’s looking to take things slow and have some fun. I enjoy trail rides on the beach and taking time to stop and smell the roses. I like to keep things simple, so I provide the basics for healthy joints: glucosamine, MSM, and vitamin C. And if you’re looking to have a good time on a budget, then I’m your Flex! About me: I’d like to think of myself as a “Steady Eddie.” I’m pretty active, and I’m moving up in the world, probably because I don’t take things too seriously and I get along with almost everyone. I’m no nonsense and no frills, so I like to focus on what matters most in life—healthy joints. That’s why I contain all the fundamental ingredients of joint health. About me: I enjoy working out, traveling, and supporting healthy joints with high levels of glucosamine, chondroitin sulfate, and hyaluronic acid. But I’m more than that—I also have what you might call a “soft tissue side” since I support resilient tendons and ligaments with collagen and silica. About me: While I might come off as a little intense, my friends will tell you that I definitely have a “soft tissue side.” I’m hard working but extremely caring and supportive, as I provide high levels of ingredients for joint, tendon, and ligament health. And as an added bonus, I can help you cope with stress and heavy activity thanks to all my potent antioxidants (and my killer back massages). About me: I’ve seen and done a lot over my lifetime, and after a successful career, I’m looking forward to some well-earned relaxation. I have great retirement benefits, including support for joints, digestion, and immunity, as well as herbs like devil’s claw and boswellia, so I’m looking for someone who wants to spend their golden years with me in comfort. About me: Age is just a number, and I’m not about to let it stop me from having fun! I’m very active, and I’m looking for someone who is still up for a challenge. I provide all the support for healthy joints, digestion, and immunity, just without the herbs so I’m not limited to the kinds of adventures I can have, like competing in shows. About me: Life is hard, and everyone has scars, which is why I’m a big believer in second chances. 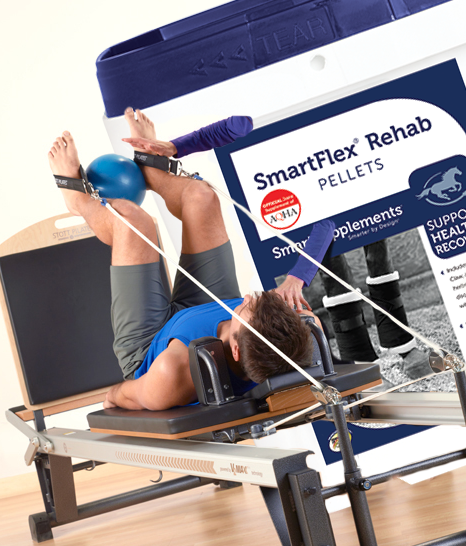 Thanks to a unique combination of ingredients for both joints and connective tissue, I’m the perfect match to help support the healing process during rehabilitation. Nothing makes me happier than helping others reach their full potential again. 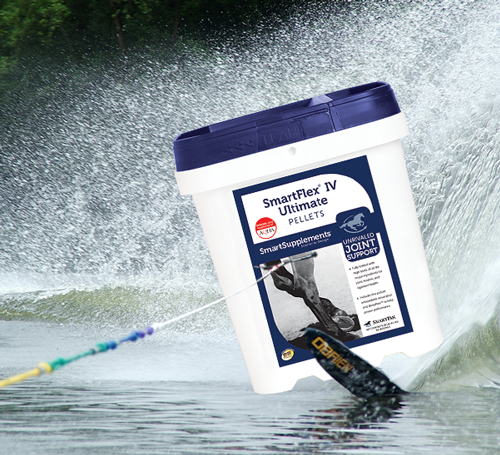 Still not sure which one is right for your horse? 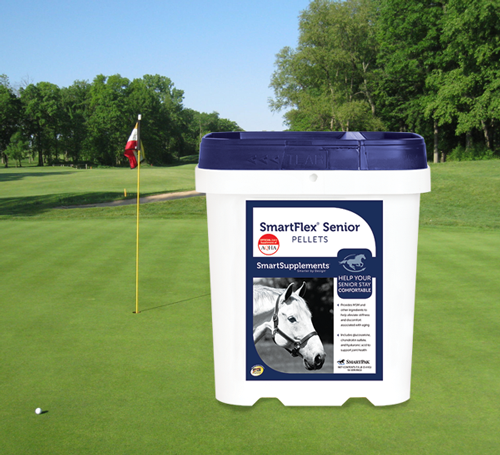 The SmartFlex Finder can help! 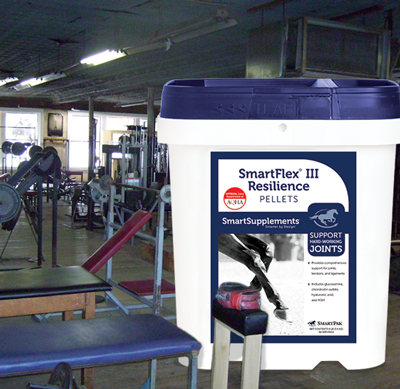 *Order any of our SmartSupplements in SmartPaks, and if you don’t see results in two months, we’ll give you your money back. I have had my 17 year old mare on Smart Pak Rehab for a year now to help her recover from soft tissue injury. However, I don’t think it is so much soft tissue problems anymore. I think it may just be arthritis in her joints now to make her seem a little stiff at times or gimpy. I have a 20 year old gelding who has developed a nasty issue with needing to constantly be with other horses. At home he would hang out on the fence line with the neighbor’s horses and would not come in to the barn. When I would put him in he would run and prance and push on the corral rails until he would break himself out to return to the fence line. Now I have him at a boarding facility and he is doing the same thing…….running back and forth and prancing in his stall when the other horses move out of his sight. He is 16.3 hands tall so this kind of behavior is rather intimidating and dangerous. Please match my big boy up with the best calming supplement that will help him calm down and enjoy life again and be the mellow guy he used to be. Thanks!